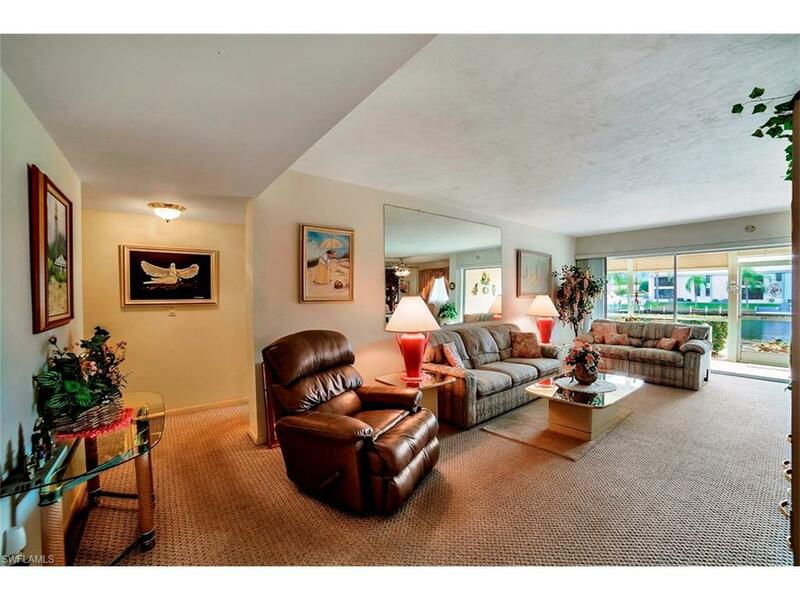 Rarely available Gulf Access, 1st floor-end unit, 2 bedroom, 2 bath condo with nearly 1500 sq ft of living area. The spacious living room, master bedroom and screened lanai have a gorgeous view of the wide Rubicon Canal. You will love the open porch and garden area with privacy fence off the guest bedroom. Bask in the sun or relax in the beautiful heated pool, with poolside bathrooms and an outdoor shower for your convenience. 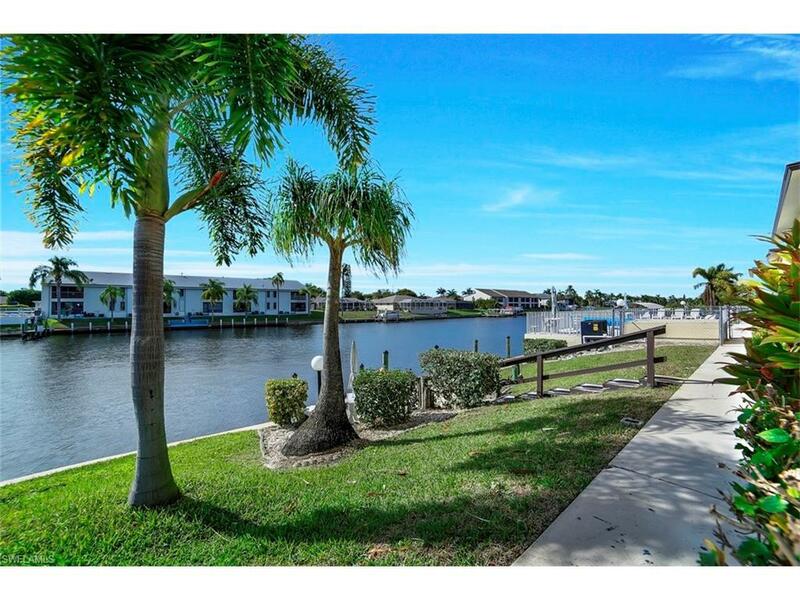 This gulf access condo has a large boat dock that spans the entire length of the property with electric and water available at the dock (first come basis with approval, and no boats currently call it home). Updates include kitchen cabinets refaced in 2013, water heater in 2014, and tile bath floors in 2014, both bathrooms are freshly painted 2019. The refrigerator, washer, and stove are 5 years old. Both bedrooms, kitchen and dining room are equipped with ceiling fans. 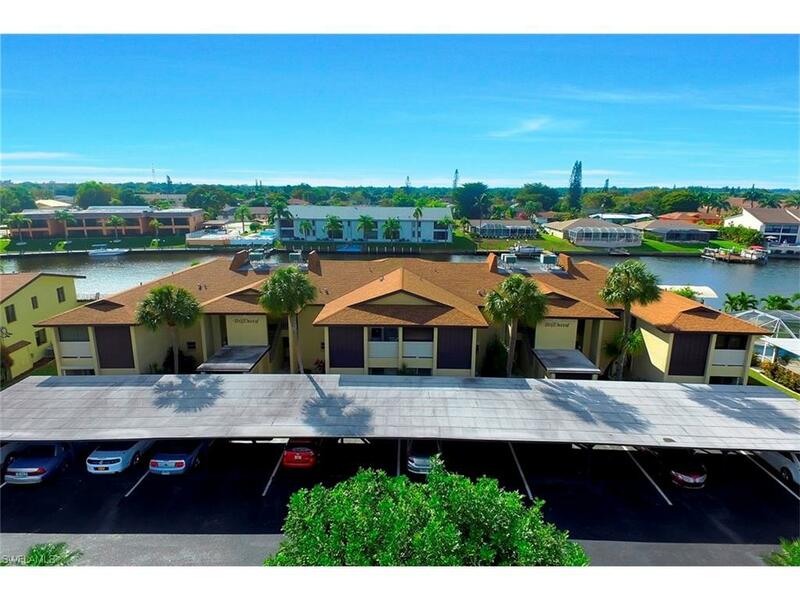 There is covered parking, ample guest parking, and extra storage. Seller is including a 1-year home warranty. This condo is ready for your updates and priced accordingly. Being sold As-Is, Inspections welcome. Make an appointment today! 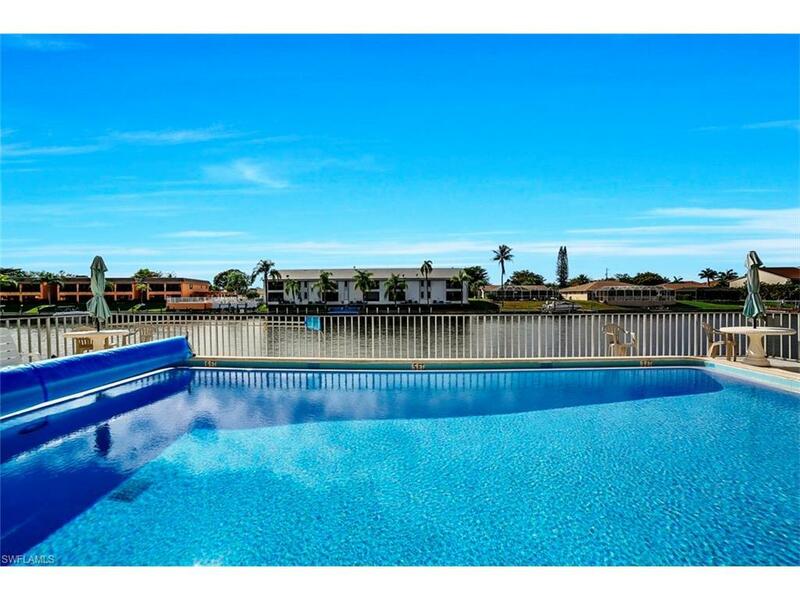 Listing courtesy of Sue Jones of Century 21 Selling Paradise.